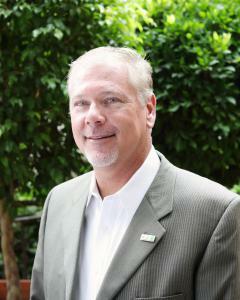 The LA Conservation Corps Announces New Board President. Long-serving board member Bryan LeRoy ascends to leadership position. Los Angeles, CA-----July, 2018-----The LA Conservation Corps proudly announces the appointment of Bryan LeRoy to the position of President & Chair of the Board for the LA Conservation Corps. Bryan will take the role recently vacated by Jimmie Cho. Bryan has served as a Board Member for the LA Conservation Corps since 2010, most recently as the Chair of the Program Committee where he was instrumental in shaping training programs and Corpsmember development for the organization. His broad experience as well as long tenure passionately serving the Corpsmembers makes Bryan LeRoy an excellent choice to fill this role. Bryan is a Los Angeles partner at the law firm of Nixon Peabody where he specializes in land use, real estate, and environmental compliance matters. Bryan advises public and private entities regarding the processing of land use permits and other approvals for development, energy, and infrastructure projects, as well as strategies to manage environmental concerns and other project impacts. Exiting Board Chair Cho is the Senior Vice President of Customer Services and Gas Distribution for Southern California Gas Company (SoCalGas). This role carries a great responsibility and Jimmie will be spending his time and energy building on it for now. In his new position, Bryan LeRoy will chair the governing board, help the Corps raise funds for various programs and serve as active advocate and ambassador for the organization.